Industrial visit has its own importance in a career of a student who is pursuing a professional degree as the classroom is not sufficient to provide student an insight to internal working of companies. Industrial visit is considered as one of the tactical methods of teaching. The main reason behind this- Industrial visit helps to combine theoretical knowledge with industrial knowledge and gives them exposure to current work practices. It lets student to know things practically through interaction, working methods and employment practices. Industrial visits are arranged by our college to students with an objective of providing students functional opportunity in different sectors like IT, Manufacturing and services, finance and marketing as students will be more concerned about earning a job after having an industrial visit. The following leading industries were visited by our students as a part of the curriculum. AAA offers a number of value added courses beyond curriculum that equips students for a successful career. Faculty Development Programs are conducted to our faculties to enhance their knowledge in their expertise field and to keep them updated about the technological advancements in the field. Our faculties combine professional and industrial experience with the latest approaches in learning and teaching. Students of Civil Engineering Department are given intensive training in AutoCAD, REVIT architecture, STADD Pro and ANSYS. The Department of Computer Science and Engineering conducts training in C, Java, Database MySQL and PHP. The Department of Electronics and Communication Engineering offers extensive training in PSPICE circuit simulation software, MATLAB programming, VLSI Design and Embedded Systems. The Department of Electrical and Electronics Engineering conducts hands on training in PSPICE circuit simulation, MATLAB programming and LABVIEW. Mechanical Department students are made to work in CAD/CAM, CreO, ANSYS, and Computational Fluid Dynamics. The value added courses aim to make our students to keep pace with the cutting-edge technologies pertaining to their chosen field of engineering. To impart professional knowledge with relevant certifications to increase employability of the students. The value added courses comprise of a wide range of short courses and workshops that are carefully planned to meet the interests of students, as well as help diversify their skills and technical knowledge. These courses have been selected after analyzing the work profiles and career portrayals of various job roles in core industries and IT companies. These programs will run parallel to the conventional degrees. At the end of year, the students will be equipped with Certificates in value added courses along with a conventional degree. Value added courses are designed and offered by all the departments for the benefit of the students. Our Faculty members were well trained and certified by authorized certification organizations. From their expertise, our students gain knowledge, which will qualify them to face the formidable challenges of the industries. AAA is dedicated to provide consistent, high quality education to ensure academic and professional success of students through internships, guest lectures and hands on trainings. AAA has signed MOU with Pearson Cornerstone, who offers Business and Technology Education Council (BTEC) a world class qualifying program providing vocational training and internship to students. Students are given hands on training in emerging technologies with the help of skilled professionals and guest lectures are given to students by experts in the field. The vocational courses aspire to equip rural persons with practical skills for a specific profession or field. These are tailor-made courses to make them completely job ready. Hence, are habitually aimed at a focused career and intended in a manner such as to help them upgrade their skills for that particular profession. In Vocational Courses, learning is imparted mainly through practical on-site experience and less through classroom teaching. The course is planned in a manner that when the students graduate they are totally prepared for the particular job and necessitate not much training in the basic functioning of things. To enhance the employability of unemployed youths through skill development in selected areas. To bridge the gap between demand and supply of skilled workforce in the industrial sector. To provide sustainable employment opportunities to the needy and the vulnerable unemployed rural youths. To disseminate technical knowledge and appropriate skill practices through standard systems of training, testing and certification to validate proficiency levels. The Department of Electrical and Electronics Engineering organized Four days Hands on Training on Electrician course from 22.01.2018 to 25.01.2018. Nearly 20 rural students from various I.T.Is actively participated in the program. Practical Training was given on basic wiring, soldering practice, handling of Electrical equipments & tools, troubleshooting and maintenance of Electrical equipments. This training helped them to start their career as an Entrepreneur for house wiring system. The Department of Mechanical Engineering, AAA College of Engineering and Technology organized a One week workshop on “LATHE TURNER” from 27/11/2017 to 03/12/2017 at Machine Shop I & II. The hands on training on cover setup, applications, parts and operation of various types of lathes were given to the rural participants. Upon completion of this course, they are able to establish their profession as lathe turner and operator. The Department of Computer Science and Engineering organized Two days Vocational course on “Web Development using WordPress” on 01.03.2018 & 02.03.2018 with the motto of making aware the participants about the wordpress needed for their careers. About 25 Internal and External participants were attended the course. Mr.K. Deepak and Mr. Vinoth, Managing Directors, NISquaretech, Chennai delivered the course contents to all the Internal and External participants from various arts and science colleges. The Vocational course became an eye-opener to all the participants. All the participants got aware of preparing their own websites and also developing all the skills regarding website development. Sofia Rajesh attended refresher course on 3Ds Max between 6th and 20th June 2017. M.Ariramachandran attended refresher course on ETABS at Design Dimensions Private Limited between 16th and 20th June 2017. M.Ariramachandran attended Faculty Development Programme on Limit State Design of Steel strcuture at Sethu Institute of Technology between 7th and 20th Nov 2017. G.Jaya Kumar attended refresher course on STADD PRO at Design Dimensions Private Limited between 16th and 20th June 2017. G.Jaya Kumar attended Faculty Development Programme on Stability of structure at Sri Vidhya College of Engineering & Technology on 29th November 2017. N. Nithya attended a refresher course on Revit Architecture at CADD School, Vadapalani branch between 16th and 20th June 2017. N. Nithya attended Faculty Development Programme on Autodesk Revit Architecture at PSR College of Engineering & Technology between 23rd and 27 May 2017. V.Ragavan attended refresher course on Primavera at CADD School, Tambaram between 16th and 20th June 2017. V.Ragavan attended Faculty Development Programme on Limit State Design of Steel structure at Sethu Institute of Technology between 7th and 20th Nov 2017. V.Ragavan attended Faculty Development Programme on Autodesk Revit Architecture at PSR College of Engineering & Technology between 23rd and 27 May 2017. V.Ragavan attended Faculty Development Programme on Stability of structure at Sri Vidhya College of Engineering & Technology on 29th November 2017. A guest lecture on the topic “Tips to be followed in Design of Reinforced Concrete Structures” was organized for the IV-year students on 22/07/2017. S.Nagan, Professor/Civil Engineering, Thiyagarajar College of Engineering, Madurai was the guest speaker. A guest lecture on the topic “E-tender and contract preparation” was organized for the IV year students on 27/07/2017. BasanthBabu, Associate Professor/Civil Engineering, KLN Institute of Technology , Madurai was the guest speaker. A guest lecture on the topic “Latest Advancements in Concrete Technology” was organized for the III-year students on 09/02/2018. Mr.Ganesan N, Associate Professor/Civil Engineering,Kalasalingan University, Krishnankoilwas the guest speaker. A guest lecture on the topic “Advanced Traffic Engineering” was organized for the IV-year students on 10/08/2017. Mrs.Jeyanthi S, Associate Professor/Civil Engineering, Kalasalingan University, Krishnankoil was the guest speaker. A seminar on the topic “Runway orientation and wind rose diagram” was organized for the III-year students on 19/02/2018. Mrs.Jeyanthi S, Associate Professor/Civil Engineering, Kalasalingan University, Krishnankoil was the guest speaker. A symposium on FORTCON’2K18 was organized on 28.02.2018. Er.T.Ragavan, President, FACEAT & P and Dr.R.Lakshmi, Prof & Head Kamaraj College of Engineering & Technology were the guest speakers. VinishaBavin of IV year attended a symposium on Code Cracking at Sri Vidhya College of Engineering. Abarna and V.Renuga Devi of IV year won 1st prize in AUTOCAD at VHNSN College. Mrs.T. Gladima Nisia attended a National Seminar on research issues in Digital Image processing on 16.03.18 and 17.03.18 at MEPCO College. Mr.R. Prabhu attended a National Workshop on “Journal Paper Preparation using Latex in June 2017 at Kalasalingam Institute of Technology. Mr. C. Rajkannan attended a FDP on Introduction to Big Data Analytics on 14.02.18 and 15.02.18 at VHNSN College, Virudhunagar. Mrs. R. Indhuja attended a FDP on CYBER FORENSICS between 27.11.2017-03.12.2018 and Kalasalingam Institute of Technology, Krishnankoil. Mrs. K. Indumathi attended a FDP on Internet of things on 9-11-2017 and 10-11-2017 at Avinashilingam College, Coimbatore. Mrs. P.S. Uma attended a FDP on Software Testing Using Automated Tool between 27-11-2017 and 30.11.2017 at Mepco Schlenk Engineering College, Sivakasi. Mr. A. Ramesh attended a FDP on Intro to Big Data Analytics on 14.02.18 and 15.02.2018 at VHNSN College, Virudhunagar. Ms.N. Anitha Devi attended a one-day workshop on Career Education Conclave on Cognitive Analytics on 19 .04.2017, Kamaraj College of Engineering and Technology, Virudhunagar. Ms.N. Anitha Devi attended a one-day workshop on research Methodology on 03.01.2018 at Sri Vidhya College of Engineering, Virudhunagar. Mr.A. Shenbagarajan attended a one-day workshop on AWS Educate by ICTACT on 21.07.2017, Chennai. Mr.C. Rajkannan attended a National Conference on NCRTE2C2T-2K18 and presented a paper on the topic “Cooperative Bait Detection Scheme for Collaborative Black Hole attacks in MANET” on 23.02.18 at P.S.R.R. College of Engineering, Sivakasi. Mr.A. Ramesh attended a National Conference on NCRTE2C2T-2K18 and presented a paper on the topic “Privacy- Preserving and Truthful Detection of Packet Dropping in Wireless Adhoc Networks” on 23.02.18 at P.S.R.R. College of Engineering, Sivakasi. Dr.J. Sutha attended an International Conference on Technical Innovations in Electrical, Electronics, Computer and Communications and presented a paper on the topic “IOT Based Monitoring System for availability of food items in Refrigerators” on 14.03.2018 at PET Engineering College, Vallioor. Mr.C. Rajkannan attended an International Conference on ICTIEECC – 2018 and presented a paper on the topic “Detection and Elimination of Black hole attack in MANET” and on 14.03.2018 at PET Engineering College, Vallioor. Mr.C.Rajkannan attended an International Conference on ICTIEECC – 2018 and presented a paper on the topic “Enhanced Prime Product Scheme based on Worm hole detection on MANET” and on 14.03.2018 at PET Engineering College, Vallioor. Ms.N. Anitha Devi attended an International Conference on Technical Innovations in Electrical, Electronics, Computer and Communications and presented a paper on the topic “Sentiment Classification Based on Opinion Mining” and on 31st March 2017 at PET Engineering College, Vallioor. Ms.N. Anitha Devi attended an International Conference on International conference on Technical Innovations in Electrical, Electronics, Computer and Communications and presented a paper on the topic “Smart Stick for Visually Impaired People Using IOT” and on 14th March 2018 at PET Engineering College, Vallioor. Ms.N. Anitha Devi attended an International Conference on International conference on Technical Innovations in Electrical, Electronics, Computer and Communications and presented a paper on the topic “Smart Accident Surveillance by Using IOT” and on 14th March 2018 at PET Engineering College, Vallioor. Mr.A. Shenbagarajan attended an International Conference on Innovations in Science, Technology and Management towards Sustainability and presented a paper on the topic “MRI Brain Tumor Segmentation using FCT Optimization Algorithm” at National Institute of Technical Teachers Training and Research (NITTTR) at P.S.R. Engineering College on 10.11.2017. Mr.A. Shenbagarajan attended an International Conference on ICETCCAT – 2018 and presented a paper on the topic “Design and Implementation of Suffocating Prevention System” at Sri Vidhya College of Engineering & Technology, 9th March 2018. Mr.A. Shenbagarajan attended an International Conference on Technical innovation in Electrical and Electronics, Computer and Communications and presented a paper on the topic “EAVESDROPPING for Security System” at PET Engineering College, Tirunelveli, on 14th March 2018. Mr.P. Elamparithi attended an International Conference on Innovations In Science, Technology And Management towards Sustainability and presented a paper on the topic “Optimized Block hole attack detection Mechanism with reliable an Secured routing in MANET Environment” at National Institute of Technical Teachers Training and Research (NITTTR) at P.S.R. Engineering College on 10.11.2017. Mr.P. Elamparithi attended an International Conference on ICETCCAT – 2018 and presented a paper on the topic “Water Quality Monitoring System Using Wireless Sensor Networks” at Sri Vidhya College of Engineering & Technology, 9th March, 2018. Mr.P. Elamparithi attended an International Conference on Technical innovation in Electrical and Electronics, Computer and Communications and presented a paper on the topic “Explicit Network Security hardening using active defence technology for DOD Servers” at PET Engineering College, Tirunelveli, on 14th March 2018. Mrs.R.M. Rajeshwari attended an International Conference on Advances in Computer Science, Engineering and Technology and presented a paper on the topic “Survey of Routing Protocols of VANET” on 20th Jan 2018 at Kalasalingam Univerity, Krishnankoil. Mrs.R.M. Rajeshwari attended an International Conference on Emerging Trends in Computing, Communication and Automation Technology and presented a paper on the topic “Student Tracking and Attendance System” on March 9,2018 at Sri Vidhya Engineering College, Virudhunagar. Mrs.R.M. Rajeshwari attended an International Conference on Technical innovation in Electrical and Electronics, Computer and Communications and presented a paper on the topic “Secured Authentication for deduplication in Hybrid Cloud Approach” on 14th march, 2018 at PET Engineering College. Mr.R. Prabhu attended an International conference on Technical innovations in revent trends in computer science and Engineering and Communications on 12th September,13 and presented a paper on An Approach to Protect the Privacy of Cloud Data from Data Mining Based Attack at PSR Engineering College, Sivakasi. Dr. J. Sudha published a paper titled Efficiently multicasting medical images in mobile Adhoc network for patient diagnosing diseases in International Journal of Biomedical Research, https: ..doi.org.10.1007.s10586-018-1868-x. Special Issue, pp.S315-S320, ISSN 0970-938X. Mr.P. Elamparithi and Ms.N. Anitha Devi organized vocational course on Web development using Word Press for two days at the college. Siva Prakashof second year has participated on VORTEX 2018-Workshop(Ethical hacking) conducted by National Institute ofTechnology,Tiruchirappalli on 02/02/2018 to 04/02/2018. SamuelRajan of second year has participated on VORTEX 2018-Workshop (Ethical hacking) conducted by National Instituteof Technology,Thiruchirapalli on 02/02/2018 to 04/02/2018. Aheesh of second year has participated on VORTEX 2018-Workshop (Ethical hacking) conducted by National institute of Technology,Thiruchirapalli on 02/02/2018 to 04/02/2018. D.Sivaranjini of second year has participated on workshop –Android at Code Bind Technologies,Coimbatore on 07/12/2017. Sakthisreedevi of second year has participated on workshop –Android at Code Bind Technologies,Coimbatore on 09/12/2017. SornaEswari of second year has participated on workshop –Android at Code Bind Technologies,Coimbatore on 09/12/2017. KabilanRajasekarof second year has participated on VORTEX 2018-Workshop(Ethical hacking) conducted by National institute of Technology,Thiruchirapalli on 02/02/2018 to 04/02/2018. Saran of second year has participated on Computer Vision with Matlab conducted by Karunya University on 15/02/2018 to 16/02/2018. Ravi Kumar of second year has participated on Computer Vision with Matlab conducted by Karunya University on 15/02/2018 to 16/02/2018. Bhuvaneshwari of second year has participated on workshop –Android at Code Bind Technologies,Coimbatore on 09/12/2017. Bhuvaneshsri of second year has participated on workshop –Android at Code Bind Technologies,Coimbatore on 09/12/2017. JeevaPriya of second year has participated on workshop –Android at Code Bind Technologies,Coimbatore on 09/12/2017. BhuvanaBharathiof second year has participated on workshop –Android at Code Bind Technologies,Coimbatore on 09/12/2017. Malavika of second year has participated on IOS app Development conducted by Kamaraj College of Engineering and Technology on 15/02/2018. BhuvanaBharathi of second year has participated on IOS app Development conducted by Kamaraj College of Engineering and Technology on 15/02/2018. Bhuvanesh Sri of second year has participated on IOS app Development conducted by Kamaraj College of Engineering and Technology on 15/02/2018. Aheesh of second year has participated on Mixed Reality conducted by Anna University,Guindy on 09/02/2018 to 10/02/2018. S.Reshmika of third year has participated on Workshop-Android at Code Bind Technologies,Coimbatore on 14/06/2017. Thiagaselvan of third year has participated on Workshop-Android at Code Bind Technologies,Coimbatore on 14/12/2017. Saravanan of third year has participated on SAARANG 2018-Workshop-PHP-MYSQL-HTML-CSS conducted by IIT Madras on 09/01/2018 to 10/01/2018. Saravanan of third year has participated Workshop-Real Time Application using Internet of thingd(IOT) conducted by Bannari Amman Institute of Technology on 20/10/2017 to 21/10/2017. Naveenkumar of third year has participated on Workshop-Android at Code Bind Technologies, Coimbatore on 14/12/2017. Naveenkumar of third year has participated on Augmented Reality conducted by VIT University on 04/09/2017 to 05/09/2017. Naveen Kumar of third year has participated on Android App Development at UNIQ Technologies on 23/06/2017. Hareesh Kumar of third year has participated on Android App Development at UNIQ Technologies on 23/06/2017. Pandiselvi of third year has participated on Workshop-Android at Code Bind Technologies,Coimbatore on 14/06/2017. Hema of third year has participated on Workshop-Android at Code Bind Technologies,Coimbatore on 14/06/2017. Kavitha of third year has participated on Workshop-Android at Code Bind Technologies,Coimbatore on 14/06/2017. Kavitha of third year has participated on Artificial Intelligence with machine learning workshop at SmartAnt technologies on 18/02/2018. Kavitha of third year has participated on Ethical Hacking workshop at SmartAnt technologies on 18/02/2018. Naveen Kumar of third year has participated on IOS App Development conducted by Kamaraj College ofEngg& Tech on 15/02/2018. Ramya of third year has participated on Workshop-Android at Code Bind Technologies,Coimbatore on 18/12/2017. Giridharan of third year has participated on Workshop-Android at Code Bind Technologies,Coimbatore on 14/12/2017. D.Sivaranjini of second year hasattended inplant training-Web development at Code Bind Technologies,Coimbatore on 06/12/2017 to 10/12/2017. Sakthisri Devi of second year hasattended inplant training-Web development at Code Bind Technologies,Coimbatore on 06/12/2017 to 10/12/2017. SornaEswari of second year hasattended inplant training-Web development at Code Bind Technologies,Coimbatore on 06/12/2017 to 10/12/2017. Bhuneshsri of second year hasattended inplant training-Web development at Code Bind technologies, Coimbatore on 06/12/2017 to 10/12/2017. JeevaPriya of second year has attendedinplant training-Web development at Code Bind Technologies,Coimbatore on 08/12/2017 to 12/12/2017. Bhuvaneshwari of second year has attended inplant training-Web development at Code Bind Technologies,Coimbatore on 08/12/2017 to 12/12/2017. BhuvanaBharathi of second year has attended inplant training-Web development at Code Bind Technologies,Coimbatore on 06/12/2017 to 10/12/2017. D.Sivaranjini of second year hasattended inplant training-Web development at Code Bind Technologies, Coimbatore on 06/12/2017 to 10/12/2017. S.Reshmika of third year has attended inplant training on Web development at Code Bind Technologies,Coimbatore on 14/06/2017 to 18/06/2017. Kaleeshwari of third year has attended Application Development using java at Phoenix Softech on 19/06/2017 to 23/06/2017. Ramaprabha of third year has attended Application Development using java at Phoenix Softech on 19/06/2017 to 23/06/2017. Saravanan of third year has attended inplant training at UNIQ Techniques on 30/11/2017 to 09/12/2017. Thiagaselvan of third year has attended inplant training-JAVA at Code Bind Technologies,Coimbatore on 11/12/2017 to 15/12/2017. Naveen Kumar of third year has attended inplant training-JAVA at Code Bind Technologies,Coimbatore on 11/12/2017 to 15/12/2017. Naveen Kumar of third year has attended inplant training-Android App Development at UNIQ Technologies on 22/06/2017 to 23/06/2017. Pandiselvi of third year has attended inplant training on Web development at Code Bind Technologies,Coimbatore on 14/06/2017 to 18/06/2017. Hema of third year has attended inplant training on Web development at Code Bind Technologies,Coimbatore on 14/06/2017 to 18/06/2017. Kavitha of third year has attended inplant training on Web development at Code Bind Technologies,Coimbatore on 14/06/2017 to 18/06/2017. Ramya of third year has attended inplant training on Web development at Code Bind Technologies,Coimbatore on 14/06/2017 to 18/06/2017. Giridharan of third year has attended inplant training on Web development at Code Bind Technologies,Coimbatore on 11/12/2017 to 15/06/2017. Giridharan of third year has attended inplant training on Android App development at UNIQ Technologies on 22/06/2017 to 23/06/2017. Kalaivani Priyanka of final year has attended inplant training on .NET Framework at Senfo Tech on 22/05/2017 to 30/06/2017. Keshini of final year has attended inplant training on Artificial Intelligence with machine learning at Four step training Solutions Pvt Ltd. on 10/06/2017 to 11/06/2017. Rajalakshmi of final year has attended inplant training on Artificial Intelligence with machine learning at Four step training Solutions Pvt Ltd. on 10/06/2017 to 11/06/2017. Balameenakshi of third year has participated in the event of Web Development using WordPress Conducted by AAACET on 01/03/2018 to 02/03/2018. Jeyamani of third year has participated in the event of Web Development using WordPress Conducted by AAACET on 01/03/2018 to 02/03/2018. Nithya of third year has participated in the event of Web Development using WordPress Conducted by AAACET on 01/03/2018 to 02/03/2018. AkshyaDharshini of third year has participated in the event of Web Development using WordPress Conducted by AAACET on 01/03/2018 to 02/03/2018. Kaleeshwari of third year has participated in the event of Web Development using WordPress Conducted by AAACET on 01/03/2018 to 02/03/2018. Ramaprabha of third year has participated in the event of Web Development using WordPress Conducted by AAACET on 01/03/2018 to 02/03/2018. Kavitha of third year has participated in the event of Web Development using WordPress Conducted by AAACET on 01/03/2018 to 02/03/2018. Ramya of third year has participated in the event of Web Development using WordPress Conducted by AAACET on 01/03/2018 to 02/03/2018. S.Reshmika of third year has participated in the event of Web Development using WordPress Conducted by AAACET on 01/03/2018 to 02/03/2018. Thiagaselvan of third year has attended internship-Java at Code Bind technologies, Coimbatore on 11/12/2017 to 15/12/2017. Naveen Kumar of third year has attended internship-Java at Code Bind technologies, Coimbatore on 11/12/2017 to 15/12/2017. Antony Xavier of third year has attended internship-Python Programming at SmartAntTechnologies on 02/12/2017 to 30/12/2017. Hareesh Kumar of third year has attended internship-Python Programming at SmartAntTechnologies on 02/12/2017 to 30/12/2017. Dhinesh of final year has attended internship-Manual Testing at SmartAnt Technologies on 26/11/2017 to 16/12/2017. S.Gopi Krishna of final year has attended internship-Manual Testing at SmartAnt Technologies on 26/11/2017 to 16/12/2017. A.Kumaran of final year has attended internship-Manual Testing at SmartAnt Technologies on 26/11/2017 to 16/12/2017. Benhar Joel of final year has attended internship-Manual Testing at SmartAnt Technologies on 26/11/2017 to 16/12/2017. ManojPrabhakar of final year has attended internship-Manual Testing at SmartAnt Technologies on 26/11/2017 to 16/12/2017. KalaivaniPriyanka of final year has attended internship-artificial Intelligence with Machine Learning at SmartAnt Technologies on 05/06/2017 to 30/06/2017. Giridharan of finalyear won III Prize on the event of Third Eye Conducted by Sri Vidya College of engg and Tech on 12/08/2017. Hareesh Kumar of finalyear won III Prize on the event of Third Eye Conducted by Sri Vidya College of engg and Tech on 12/08/2017. Giridharan of finalyear won II Prize on the event of Treasure Hunt Conducted by Sri Vidya College of engg and Tech on 12/08/2017. Hareesh Kumar of finalyear won II Prize on the event of Treasure Hunt Conducted by Sri Vidya College of engg and Tech on 12/08/2017. Naveen Kumar of finalyear won II Prize on the event of Andro build Conducted by Kamaraj College of engg and Tech on 16/02/2018. Kalaivanipriyanka of final year won II prize on the event of Connection Conducted by P.S.R Rengaswamy College of engg and Tech on31/01/2018. FathimaBi of final year has participated on the event of Code vannaza,Google Doodle,Counter Strike conducted by K.L.N College of Information and Technology on 30/01/2018. A.Kumaran of final year has participated on the event of Code vannaza,GoogleDoodle,Counter Strike conducted by K.L.N College of Information and Technology on 30/01/2018. SanojPrabhakar of final year has participated on the event of Code vannaza,GoogleDoodle,Counter Strike conducted by K.L.N College of Information and Technology on 30/01/2018. Fathima Bi of final year presented a Paper Titled “Secure Authentication De-duplication in Hybrid Cloud approach” in the International Conference on Technical innovations conducted by PET Engineering College on 14/03/2018. Jency and S.Sivaranjini of final year presented a Paper Titled “Windmill Fault Detection” in the International Conference on Technical innovations conducted by PET Engineering College on 14/03/2018. Kowsalya and Durga Devi of final year presented a Paper Titled “Smart accident detection surveillance using IOT” in the International Conference on Technical innovations conducted by PET Engineering College on 14/03/2018. Benhar Joel and M.Dhinesh of final year presented a Paper Titled “Detection and elimination of black hole attack in MANET” in the International Conference on Technical innovations conducted by PET Engineering College on 14/03/2018. Siddarth andVivekanand of final year presented a Paper Titled “A new cloud service mechanism for profit optimization cloud provider and it’s user: in the International Conference on Technical innovations conducted by PET Engineering College on 14/03/2018. GopiKrishna and Manoj Kumar of final year presented a Paper titled “Cloud based chatbox enquiries” in the International Conference on Technical innovations conducted by PET Engineering College on 14/03/2018. Venkatesh Kumar and Shyam Ganesh of final year presented a Paper Titled “Eaves dropping prevention by using motion mix” in the International Conference on Technical innovations conducted by PET Engineering College on 14/03/2018. Abirami Sri and M.Padmapriya of final year presented a Paper Titled “Location based alarm indication” in the International Conference on Technical innovations conducted by PET Engineering College on 14/03/2018. S.Nivetha and P.Gracy Mary of final year presented a Paper Titled “IOT based monitoring system for availability of the food items in refrigerator” in the International Conference on Technical innovations conducted by PET Engineering College on 14/03/2018. Raja Ganesh and SanojKumar of final year presented a Paper Titled “Explicit security hardening using defense technology for DOD service” in the International Conference on Technical innovations conducted by PET Engineering College on 14/03/2018. Rajalakshmi and Keshini of final year presented a paper in the International Conference on Technical innovations conducted by PET Engineering College on 14/03/2018. kalaivaniPriyanka and AmuthaLakshmi of final year presented a Paper Titled “Smart stick for visually impaired people using IOT” in the International Conference on Technical innovations conducted by PET Engineering College on 14/03/2018. A.Kumaran of final year presented a Paper Titled “Design and Implementation of suffocating prevention system” in the International Conference on Emerging trends in computing, communication and automation technology conducted by Sri VidyaEngineering College and Technology on 09/03/2018. Ramachandramoorthy of final year presented a Paper Titled “Design and Implementation of suffocating prevention system in the International Conference on Emerging trends in computing, communication and automation technology” conducted by Sri Vidya Engineering College and Technology on 09/03/2018. KalaivaniPriyanka of final year presented a Paper Titled “Brain Finger Printing” in the National level Technical Symposium conducted by P.S.R Rengaswamy college of Engineering and Technology on 31/01/2018. Sivaranjini of final year presented a Paper Titled “Windmill fault detection” in the National level Technical Symposium conducted by P.S.R Rengaswamy college of Engineering and Technology on 31/01/2018. JencyChristina of final year presented a Paper Titled “Windmill fault detection” in the National level Technical Symposium conducted by P.S.R Rengaswamy college of Engineering and Technology on 31/01/2018. Students of Third and Second Year ECE visited BSNL,Virudhunagar on 08/02/2018. Mr.P.SivakumarAP/ECE, published a research paper entitled Design a Wide Band Fractal Antenna in IJARCEE Volume7, Issue 1. Mr.M.Elayaraja,AP/ECE, presented a paper entitled “Secure Communication for UWWSN” in International Conference on Emerging Trends in Engineering and Technology 2018 at PandiyanSaraswathiYadav Engineering College held on 9th March 2018. Mr.V.MeenakshiSundaram,AP/ECE presented a paper entitled “Quad slotted Micro strip Patch antenna design for wide band applications” in International Conference on Emerging Trends in Engineering and Technology 2018 at PandiyanSaraswathiYadav Engineering College held on 9th March 2018. Mr.L.K.BalajiVignesh,AP,ECEpresented a paper entitled “Enhancing the bandwidth of Micro strip hybrid Multi band E-shaped patch antenna” in International Conference on Emerging Trends in Engineering and Technology 2018 at PandiyanSaraswathiYadav Engineering College held on 9th March 2018. Mr.C.Shanmugaraja, AP/ECE presented a paper entitled “Design of Micro strip Patch array antenna for wide band applications” in International Conference on Emerging Trends in Engineering and Technology 2018 at PandiyanSaraswathiYadav Engineering College held on 9th March 2018. Mrs.N.Thenmoezhi, AP/ECE presented a paper entitled “Congestion avoidance usingCA-AODV protocol in wireless networks” in International Conference on Emerging Trends in Engineering and Technology 2018 at PandiyanSaraswathiYadav Engineering College held on 9th March 2018. Ms.S.Princy,Ms.M.MuthuAnusuya IV ECE presented a paper entitled “Secure Communication for UWWSN” in International Conference on Emerging Trends in Engineering and Technology 2018 at PandiyanSaraswathiYadavEngineering College held on 9thMarch 2018. Ms.R.Kalaivani,Ms.V.Beulah grace IV ECE presented a paper entitled “Design of Micro strip Patch Array Antenna for Wide Band Applications” in International Conference on Emerging Trends in Engineering and Technology 2018 at PandiyanSaraswathiYadavEngineering College held on 9th March 2018. Ms.M.Iswarya,Ms.S.Mareeswari IV ECE presented a paper entitled “Remote Credit Card Authentication using Microcontroller” in International Conference on Emerging Trends in Engineering and Technology 2018 at PandiyanSaraswathiYadavEngineering College held on 9th March 2018. Ms.A.S.NandiniRak,Ms.T.Sharmila,Ms.S.Saithanya IV ECE presented a paper entitled “Congestion avoidance usingCA-AODV protocol in wireless networks” in International Conference on Emerging Trends in Engineering and Technology 2018 at PandiyanSaraswathiYadavEngineering College held on 9th March 2018. Ms.K.SheranEvangelin,Ms.R.Dharani IV ECE presented a paper entitled “Secured Data Aggregation using Iterative Filtering Technique in the Presence of Collision Attack” in International Conference on Emerging Trends in Engineering and Technology 2018 at PandiyanSaraswathiYadav Engineering College held on 9th March 2018. Ms.S.Keerthana,Ms.S.Selva Lakshmi IV ECE presented a paper entitled “Quad Slotted Micro Strip Patch Antenna Design for Wide Band Applications” in International Conference on Emerging Trends in Engineering and Technology 2018 at PandiyanSaraswathiYadav Engineering College held on 9th March 2018. Ms.S.Princy,Ms.M.MuthuAnusuya IV ECE presented a paper entitled “Secure Communication for UWWSN” in International Conference on Emerging Trends in Engineering and Technology 2018 at PandiyanSaraswathiYadav Engineering College held on 9th March 2018. Ms.M.Kartheeswari,Ms.G.Uthranandhini IV ECE presented a paper entitled “Enhancing the Bandwidth of Micro Strip Hybrid Multi Band E-shaped Patch Antenna” in International Conference on Emerging Trends in Engineering and Technology 2018 at PandiyanSaraswathiYadavEngineering College held on 9th March 2018. M.Swetha II ECE has undergone inplant training (from Dec 11 2017 to 16 Dec 2017) at Rail Net Software Solutions, Madurai. J.Surabhimala II ECE has participated in the workshop on “Recent Trends inEntrepreneurship Career” organised by Geenclub GCT on March 10,2018. M.PeriyandavarSaravanan and Mr.J.NandhaPrabhu have attended one day workshop on IOS in Kamaraj College of Engineering and Technology, Virudhunagaron 15.02.2018. Mr.P.SivaPrakash andMr.J.NandhaPrabhu have attended a one day workshop on Firebird in NEC,Kovilpatti on 16.02.2018. Guest lecture on “Digital Image Processing” was successfully conducted by the department of Electronics and Communication Engineering on 10/08/2017.The guest lecture was organized for 4th year ECE students and the content covered was beneficial as per the syllabus. The main objective of this guest lecture is to make students understand basic concepts of Digital Image Processing. The lecture was given by A.MuthukumarAsso.Prof/ECE Kalasalingam University. First he addressed students regarding contents of the lecture. He initiated the session from the title “Basics of image” and how to demonstrate the image using matlab.Thenhe moved into the first content “Types of image processing”. He entered into the main and interesting part “Image segmentation”. Though the topic is vast, he made it short and crisp through his PowerPoint presentation. He taught simple techniques to understand the programming. In second part he emphasized on Filtering techniques. In addition to, he also discussed about real time applications. Moreover he gave some tips and strategies to be followed while appearing for university examination for Digital image processing. From student’s feedback, the lecture has proven to be very inspiring and informative for students. Guest lecture on “Embedded Computing” was successfully conducted by the department of Electronics and Communication Engineering on 13/02/2018.The guest lecture was organized for 4th year ECE students and the content covered was beneficial as per the syllabus. The main objective of this guest lecture is to make students understand basic concepts of Embedded Programming. The lecture was given by Prof Dr.N.Janakiraman Department of ECE, K.L.N college of Engineering and Technology, Madurai. Guest lecture on “Microstrip Antennas” was successfully conducted by the department of Electronics and Communication Engineering on 16/02/2018 [Friday].The guest lecture was organized for 3rdyear ECE students. The main objective of this guest lecture is to make students understand basic concepts of antennas and its practical applications. The lecture was given by S.Parameswari, Assistantprofessor of Electronics and Communication Engineering at Kalasalingam Institute of technology, Krishnankovil. Guest lecture on the topic of “Signals and systems” for II Year ECE students was delivered by Mr.S.Vairaprakash HOD/ECE Kalasalingam Institute of technology on 9/08/2017. Guest lecture on “Linear Integrated Circuits and its applications” was successfully conducted by the department of Electronics and Communication Engineering on 03/03/2018[Saturday].The guest lecture was organized for 2nd year ECE students and the content covered was beneficial as per the syllabus. The main objective of this guest lecture is to make students understand basic concepts of linear integrated circuits and its practical applications. The lecture was given by V.Jayalakshmi, Assistant professor of Electronics and Communication Engineering at Kamaraj college of Engineering and technology, Virudhunagar. Guest lecture on “Digital Electronics & its applications” was successfully conducted by the department of Electronics and Communication Engineering on 16/08/2017. The guest lecture was organized for 2nd year ECE students and the content covered was beneficial as per the syllabus. The main objective of this guest lecture is to make students understand basic concepts of Digital circuits and its practical applications. The lecture was given by P.Ramakrishnan, Assistant professor of Electronics and Communication Engineering at M.Kumarasamy College of Engg, Karur. Guest lecture on “Electronic circuit Design” was successfully conducted by the department of Electronics and Communication Engineering on 21/09/2017. The guest lecture was organized for 2nd year ECE students and the content covered was beneficial as per the syllabus. The main objective of this guest lecture is to make students understand basic concepts of Electronic circuit design and its practical applications. The lecture was given by P.T.SivaGurunathan, Assistant professor of Electronics and Communication Engineering at M.Kumarasamy College of Engg, Karur. A.Annie Sheryl of III ECE has presented a paper on the topic Employee Relation and won I prize in Symposium conducted by V.H.N.S.N College on 15.02.2018. T.Menaga and Ms.G.Maharani have presented a paper on Biometric Vote System in KIT,Krishnankoil on 15.02.2018. C.Dinesh Kumar and Mr.M.Rajarathinam have won I prize for their project “Voice based home automation system” in PSR Engineering College,Sivakasi on 23.02.2018. R.Gayathri and Ms.J.Surabhi Mala have participated in Rangoli competition in Maths Event conducted by VHNSN College on 08.02.2018. P.Indhu,Ms.S.Pooja and Ms.M.VarshiniGnanam have attended Maths Quiz on 08.02.108. C.Sandhya and Ms.N.Nithya have participated in Rangoli Competition on 15.02.2018. M.Dushima and Ms.Sowmiya have participated in Dumb Charads on 15.02.2018. R.Gayathri and Ms.P.Indhu in Business Quiz and won III Prize in VHNSN College on 15.02.2018. P.Indhu has won I Prize in Treasure Hunt on 08.02.2018. R.Gayathri has participated in Treasure Hunt on 08.02.2018. Dr.C. Senthil Kumar, Professor and Head /EEE, honored as a chief guest at the opening ceremony of the Livewire CADD Centre at sivakasi on 19th February 2018. Dr.C. Senthil Kumar, Professor and Head /EEE, was the chief guest for the inaugural ceremony of the Association of innovative mission (AIM) on 9th March 2018 at Renganayagi Varatharaj College of Engineering, sivakasi. Dr.C. Senthil Kumar, Professor and Head, has participated in two-week AICTE sponsored Faculty Development Programme on “Recent Developments in Modeling, Design and control of power converters and Drives” from November 13 to 25, 2017 Organized by Department of Electrical and Electronics Engineering of Mepco Schlenk Engineering College, Sivakasi. Dr.C. Senthil Kumar, Professor and Head, has completed the continuing education program on “Industrial Robots Programming and Operations” including practice conducted by department of Robotics an automation, PSG centre for non-formal and continuing education, from 19.06.2017 to 21.06.2017. Mr.C. Karuppasamy, Assistant Professor has participated in the Faculty Development Training Programme on EE8251-Circuit Theory at Kamaraj College of Engineering and Technology, Virudhunagar from 23rd to 29th November 2017. Mr.R. Ganesan, Assistant Professor has participated in the Faculty Development Training Programme on EE8251-Circuit Theory at Kamaraj College of Engineering and Technology, Virudhunagar from 23rd to 29th November 2017. Mrs.B. Sarojini, Assistant Professor has participated in the AICTE-QIP sponsored Two Weeks Short Term Course on “Energy and Power Quality Audit Methodologies”organized by Department of Electrical and Electronics Engineering, Thiagarajar College of Engineering, Madurai during 27th November – 10th December 2017. Mrs.L. Krishnaveni, Assistant Professor has participated in two week AICTE sponsored Faculty Development Programme on “Recent Developments in Modeling, Design and control of power converters and Drives” from November 13 to 25, 2017 Organized by Department of Electrical and Electronics Engineering of Mepco Schlenk Engineering College, Sivakasi. Mr.S. Saravanan, Assistant Professor has participated in two-week AICTE sponsored Faculty Development Programme on “Recent Developments in Modeling, Design and control of power converters and Drives” from November 13 to 25, 2017 Organized by Department of Electrical and Electronics Engineering of Mepco Schlenk Engineering College, Sivakasi. Ms.N. Nandhini, Assistant Professor has participated in two-week AICTE sponsored Faculty Development Programme on “Smart Power Grid Technologies” from November 17 to 30, 2017 Organized by Government College of Technology, Coimbatore. Mr.M.S. Kalyana Sundaram, Assistant Professor has participated in Anna University sponsored Seven Days Faculty Development and Training Programme on “EE6009 – Power Electronics for Renewable Energy Systems” organized by the Department of Electrical and Electronics engineering, VV College of Engineering, Thisayanvilai, from 07.12.2017 to 13.12.2017. Mr.M.S. Kalyana Sundaram, Assistant Professor has attended the AICTE sponsored Two Week Faculty Development Programme on “Recent Trends and Applications of High Voltage Engineering, organized by the Department of Electrical and Electronics Engineering, National College of Engineering, Kovilpatti during 06.11.2017 to 19.11.2017. Mrs. E Threse Reena Smiline Assistant Professor has participated in two-week AICTE sponsored Faculty Development Program on “Recent Developments in Modeling, Design and control of power converters and Drives” from November 13 to 25, 2017organized by Department of Electrical and Electronics Engineering of Mepco Schlenk Engineering College, Sivakasi. Dr.R. Sivasangari, Associate Professor has completed vocational training programme on AutoCAD-Electrical at Live Wire Technologies, Coimbatore, from 19.06.2017 to 02.07.2017. Mr.V. Vignesh Kumar, Assistant Professor has completed vocational training programme on Android app development at Elysium Training Center, Madurai, from 19.06.2017 to 28.06.2017. Mr.C. Karuppasamy, Assistant Professor has completed vocational training programme on Certified PLC Programmer (Variable Frequency Drive) at Prolific System and Technology Pvt. Ltd. Chennai., from 14.06.2017 to 23.06.2017. Mr.R. Ganesan, Assistant Professor has completed vocational training programme on Revit – MEP at One Yes Technologies, Chennai, from 12.06.2017 to 26.06.2017. Mrs.B. Sarojini, Assistant Professor has completed vocational training programme Advance Siemens at Technocrat Automation Solutions pvt. Ltd, Chennai, from 10.06.2017 to 17.06.2017 and 28.06.2017 to 01.07.2017. Mrs.L. Krishnaveni, Assistant Professor has completed vocational training programme PLC Programming at Thick Tek, Coimbatore, from 27.06.2017 to 01.07.2017. Mr.S. Saravanan, Assistant Professor has completed vocational training programme Short Course on Embedded Systems at Prolific System and Technology Pvt. Ltd. Chennai, from 14.06.2017 to 28.06.2017. Ms.N. Nandhini, Assistant Professor has completed vocational training programme PCB Designing at Thick Tek, Coimbatore, from 21.06.2017 to 25.06.2017. Dr.C. Senthil Kumar, Professor and Head presented a paper in International conferencewith a title, “Design and Implementation of MPPT controller for grid connected Photovoltaic system and Analyzing its performance” at P.S.R. Engineering College, Sevalpatti on 10.11.2017. Mr.C. Karuppasamy, Assistant Professor presented a paper in International conference with a title, “Design and Implementation of MPPT controller for grid connected Photovoltaic system and Analyzing its performance” at P.S.R. Engineering College, Sevalpatti on 10.11.2017. Mr.R. Ganesan, Assistant Professor presented a paper in International conference with a title, “Design and Implementation of MPPT controller for grid connected Photovoltaic system and Analyzing its performance” at P.S.R. Engineering College, Sevalpatti on 10.11.2017. Mr.S. Saravanan, Assistant Professor presented a paper “Optimization of permanent magnet machine design using Finite Element Analysis” in the International conference held during 10th & 11th March 2017, organized by Karpaga Vinayaga College of Engineering and Technology. Mr.S. Saravanan, Assistant Professor presented a paper “Obstacle detection ad Location for Visually Challenged” in the International conference held during 10th & 11th March 2017, organized by Karpaga Vinayaga College of Engineering and Technology. Mr.S. Saravanan, Assistant Professor presented a paper “Renewable energy based Hybrid power converter for Home Appliances” in the International conference held during 10th & 11th March 2017, organized by Karpaga Vinayaga College of Engineering and Technology. Mr.S. Saravanan, Assistant Professor presented a paper “Designing and modeling of automatic control and critical loads” in the “International conference on Technical innovations in Electrical Electronics, Computer and Communications” organized by the Department of Electrical and Electronics engineering, Electronics and Communication engineering and Computer Science and Engineering, in PET Engineering College, Vallioor on 14th March 2018. Mr.M.S. Kalyana Sundaram, Assistant Professor Successfully completed the NPTEL online 8-week course “Introduction to Modern Application Development” from July to September 2017, with a consolidated score of 58%. V. Priyadharshini & S. Aarthy had presented paper in National Level Technical Symposium – ELECSPIRE organized by Sri Vidya College of Engineering and Technology, Virudhunagar on 12th August 2017. V. Priyadharshini & S. Aarthy had presented paper in Inter-Collegiate Technical Symposium – INTELLECT 2K17 organized by P.S.R. Engineering College, Sevalpatti on 15th& 16th September 2017. V. Priyadharshini & S. Aarthy had presented paper in Technical Symposium – ALTANZIA 2K18 organized by National Engineering College, Kovilpatti on 13th March 2018. M. Hemashree & S. Shanmuhi had presented paper in National Level Technical Festival – VYUHA 2K18 organized by Kamaraj College of Engineering and Technology, Virudhunagar on 16th March 2018. Y. Karuppasamy had presented paper in Inter-Collegiate Technical Symposium – INTELLECT 2K17 organized by P.S.R. Engineering College, Sevalpatti, on 15th& 16th September 2017. S. Anbarasan, S. Kesavan and V. Karthikeyan had attended the workshop on “ROBOTICS” at SSN College of Engineering, Chennai on 8thSeptember 2017. A. Mohammed Noorul Khadi and R. Babu had attended the workshop on “PYTHON & ML” at PSNA College of Engineering and Technology, Dindugal, on 21st& 22nd December 2017. V. Priyadharshini & S. Aarthy had attended the one-day workshop on “TRAINING ON RELAY” at ALTANZIA 2K18 organized by National Engineering College, Kovilpatti, on 14th March 2018. M. Hemashree & S. Shanmuhi had attended the one day workshop on “REAL TIME PROJECTS USING IOT” organized by Kamaraj College of Engineering and Technology, Virudhunagar, on 15th March 2018. V. Priyadharshini & S. Aarthy had attended the one-day workshop on “Mobile App Publishing – ANDROID” in app in Technology Lab, Coimbatore, on 13thDecember 2017. A. Aswin Kumar had attended the workshop on “MOBILE PHONE SERVICING” at MAADAN Institute of Technology, Virudhunagar, from 24th November to 01st December 2017. R. Yadav Aniket had attended the workshop on “Recent trends in Entrepreneurship Career” at Government College of Technology, Coimbatore on 10th March 2018. M. Hemashree & S. Shanmuhi had presented the paper entitled “Designing and Modeling of Automatic control for Critical Loads” in the International Conference on Technical Innovations in Electrical, Electronics, Computer and Communications organized by PET Engineering College, Vallioor on 14th March 2018. V. Priyadharshini had attended 1-week internship program in app in Technology Lab, Coimbatore from 06th December to 12th December 2017. S. Aarthy had attended 1-week internship program in app in Technology Lab, Coimbatore from 06th December to 12th December 2017. V. Priyadharshini & S. Aarthy had participated in “Project Expo” organized by P.S.R. Engineering College, Sevalpatti, on 15th& 16th September 2017. V. Priyadharshini & S. Aarthy had participated in “Media World” organized by P.S.R. Engineering College, Sevalpatti, on 15th& 16th September 2017. V. Priyadharshini & S. Aarthy had participated in “QRIOSITY – A good day to quiz hard” organized by Sree Sowdambika College of Engineering, Aruppukottai, on 27th February 2018. K. Bavithra Devi had participated in “B-Quiz” organized by V.H.N.S.N. College, Virudhunagar, on 15th February 2018. R. Yadav Aniket had participated in “Connections” event in 100% waste segregation Symposium – PRAKRITI 2K18 organized by GREEN CLUB GCT, Government College of Technology, Coimbatore on 9th March 2018. T. Gobi had undergone 06 days Industrial training program in J.R. Engineering, Madurai, from 04th Dec to 09th Dec 2017. 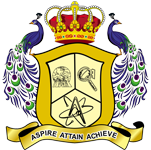 S. Anbarasan had undergone 06 days Industrial training program in J.R. Engineering, Madurai, from 04th Dec to 09th Dec 2017. N. Muthumariyappan had undergone 06 days Industrial training program in J.R. Engineering, Madurai, from 04th Dec to 09th Dec 2017. A. Aswin Kumar had undergone 05 days Industrial training program in TVS Training & Services Limited, Chennai, from 12th June to 16th June 2017. S. Balakumar had undergone 06 days Industrial training program in Rail Net Software Solutions, Madurai, from 19th June to 24th June 2017. K. Bavithra Devi had undergone 05 days Industrial training program in Easun Rayrolle Limited, Hosur, from 20thNov to 24thNov 2017. P. Saravana kumar had undergone 05 days Industrial training program in Tamilnadu Generation & Distribution Co. Ltd., 110kV Sub-Station, Paraipatty, from 20th Nov to 24th Nov 2017. R. Muthumani had undergone 05 days Industrial training program in Tamilnadu Generation & Distribution Co. Ltd., 110kV Sub-Station, Paraipatty, from 20th Nov to 24th Nov 2017. M. Vigneshwaran had undergone 05 days Industrial training program in Tamilnadu Generation & Distribution Co. Ltd., 110kV Sub-Station, Paraipatty, from 20th Nov to 24th Nov 2017. K. Bavithra Devi had undergone 05 days Industrial training program in Suzlon Infrastucture Ltd, Coimbatore, from 04th Dec to 08th Dec 2017. K.Vanishri had undergone 05 days Industrial training program in Tamilnadu Generation & Distribution Co. Ltd., 110/11kVSub-Station, Perumalpatti, from 04th Dec to 08th Dec 2017. K. Nagavi had undergone 04 days Industrial training program in Tamilnadu Cements Corporation Limited, Alangulam, from 11th Dec to 13th Dec 2017. G. Nandha Kumar had undergone 40 days Industrial training program sponsored by Tamilnadu Skills Development Corporation (TNSDC) and conducted by Rajiv Gandhi Memorial Telecom Training Centre, BSNL, Chennai-16, at Virudhunagar from 20thMarch to 08th Dec 2017. V. Priyadharshini & S. Aarthy had participated and won I prize in “Technical Quiz” organized by Sri Vidya College of Engineering and Technology, Virudhunagar, on 12th August 2017. V. Priyadharshini & S. Aarthy had participated and won II prize in “Video Presentation” organized by Sri Vidya College of Engineering and Technology, Virudhunagar, on 12th August 2017. V. Priyadharshini & S. Aarthy had participated and won III prize in “Project Expo” organized by Sri Vidya College of Engineering and Technology, Virudhunagar, on 12th August 2017. V. Priyadharshini & S. Aarthy had participated and won II prize in “LAB RAT RACE (MATLAB)” in ALTANZIA 2K18 organized by National Engineering College, Kovilpatti, on 13th March 2018. V. Priyadharshini & S. Aarthy had participated and won III prize in “PIRATES OF ALTANZIA” in ALTANZIA 2K18 organized by National Engineering College, Kovilpatti, on 13th March 2018. V. Priyadharshini had participated and won I prize in “THE PEACHY LENS” in ALTANZIA 2K18 organized by National Engineering College, Kovilpatti, on 14th March 2018. V. Priyadharshini had participated and won I prize in “QUIZ” in ALTANZIA 2K18 organized by National Engineering College, Kovilpatti, on 14th March 2018. K. Bavithra Devi had participated and won I prize in “Paper Presentation” in One Day National Level Meet, organized by V.H.N.S.N. College, Virudhunagar, on 15th February 2018. M.V.C. Dhanasamy had participated and won I prize in “Paper Presentation” in Inter-Collegiate Technical Symposium – INTELLECT 2K17 organized by P.S.R. Engineering College, Sevalpatti, on 15th& 16th September 2017. R.Yadav Aniket had participated and won II prize in “Dexter’s Laboratory” in 100% waste segregation Symposium – PRAKRITI 2K18 organized by GREEN CLUB GCT, Government College of Technology, Coimbatore on 9th March 2018. G.Manikandaraja AP /Mech participated in one day national level workshop on Instrumentation Techniques for Advanced Research at Sri Venkateswara College of Engineering, Chennai on 28-07-2017. M.Karthikeyan AP /Mechattended a faculty development programme on Innovation & Entrepreneurship Development at Anna University, Tirunelvelifrom 22-08-2017 to 24-08-2017. G.Manikandaraja AP /Mech participated in an AICTE Sponsoredshort term course on Materials Chemistry; Solids, Nanomaterials and Semiconductors at IIT, Chennaifrom 29-10-2017 to 05-11-2017. S.Balamurugan AP /Mech participated in an AICTE Sponsored faculty developmentprogramme on Fundamentals of Vibration Measurement, Analysis and Control at St.Joseph’s College of Engineering, Chennaifrom 30-10-2017 to 10-11-2017. K.Periyasamy AP /Mech participated in an AICTE QIP Sponsoredtwo week short term course onIndustrial Automationat Thiagarajar College of Engineering, Maduraifrom 20-11-2017 to 03-12-2017. N.Ayyachamy Nathan AP /Mechattended a faculty development training programme on Unconventional Machining Process at Anna University, Chennaifrom 04-12-2017 to 11-12-2017. S.Balamurugan AP /Mech participated in thefaculty development programme on Entrepreneurship, Innovation & Incubationat Vellore Institute of Technology, Chennaifrom 04-12-2017 to 16-12-2017. P.C.Rajarajan AP /Mechattended the one-day workshop on Research Methodology at Sri Vidya College of Engineering & Technology, Virudhunagar on 03-01-2018. P.C.Rajarajan AP /Mech participated in an AICTE QIP Sponsoredone week short term course on Research Opportunities and challenges in Robotics at Thiagarajar College of Engineering, Maduraifrom 19-02-2018 to 25-02-2018. G.Manikandaraja AP /Mechattended the one-day workshop on Computational Chemistry and Biology at Sastra University, Thanjavur on 23-02-2018. K.Periyasamy AP /Mech participated in two-day workshop on NSS Documentation at AC Government College of Engineering and Technolgy, Karaikudifrom 15-03-2018 to 16-03-2018. M.Karthikeyan AP /Mech attended National Level Conference on Current and Emerging Process Technologies at Kongu Engineering College, Erode on 09-03-2018, and presented a paper on a review on tribological behaviors of stir cast aluminium matrix composites. M.Kaliraj AP /Mech attended National level Conference onResearch in Mechanical Engineering at Sri Vidya College of Engineering & Technology, Virudhunagar on 23-03-2018, and presented a paper on evaluation of mechanical properties of carbon fiber / epoxy composites. M.Karthikeyan AP /Mech attended National Level Conference onResearch in Mechanical Engineering at Sri Vidya College of Engineering & Technology, Virudhunagar on 23-03-2018, and presented a paper on a novel route for the fabrication of ultra-hydrophobic surface over stainless steel. M.Kaliraj AP /Mech attended National Level Conference onRecent Advancements in Mechanical Engineering at Kamaraj College of Engineering & Technology, Virudhunagar on 28-03-2018, and presented a paper on Design & analysis of vacuum controlled LBG vapourizer& pressure regulator to enhance reliability. G.Vairamuthu Associate Professor /Mechpublished a research article in the International Journal of Heat and Mass Transfer titled on ‘Experimental and artificial neural networks based prediction of performance and emission characteristics of DI diesel engine using Calophylluminophyllum methyl ester at different nozzle opening pressure’, 2018, Volume 54 issue 1 pp 99-113 (springer publications). Renuga Devi of IV year has participated in theone day workshop on IC Engines at RamcoInstitute of Technology, Rajapalayam on 13-08-2017. Malaiyarasa Kumar &S.HariPrakash of III year has participated in two days’ workshop on Introduction to Solid Works at AAA College of Engineering & Technology, Sivakasi from 22-09-2017 to 23-09-2017. Malaiyarasa Kumar, K.S.Guna, A.P.KailashPrabhu, C.Pon Kumar &R.Vigneshwaranof III year has participated in three days’ workshop on Hands on Training Programmeon 3D Modelling using CATIA at MepcoSchlenk Engineering College, Sivakasi from 02-02-2018 to 04-02-2018. Ganesamoorthy of III year has attended two days’ workshop onLow Cost Automation Tvs Training & Service Ltd at MepcoSchlenk Engineering College, Sivakasi from 16-02-2018 to 17-02-2018. Monisha&K.Renuga Devi of IV year has participated in the NationalConference on Current and Emerging Process Technologies at Kongu Engineering College, Erode on 09-03-2018, and presented a paper on fabrication and characterization of super hydrophobic surface on mild steel substrate. Renuga Devi &M.Monisha of IV year has participated in the National Conference on Current and Emerging Process Technologies at Kongu Engineering College, Erode on 09-03-2018, and presented a paper on a review on tribiological behaviors of stir cast aluminium matrix composites. Renuga Devi, K.Lavanya&M.Srividya of IV year has participated in the National Conference on Research in Mechanical Engineering at Sri Vidya College of Engineering & Technology, Virudhunagar on 23-03-2018, and presented a paper on a novel route for the fabrication of ultra-hydrophobic surface over stainless steel. DineshPandian, G.KethiraBalan&K.Renuga Devi of IV year has participated in the National Conference on Research in Mechanical Engineering at Sri Vidya College of Engineering & Technology, Virudhunagar on 23-03-2018, and presented a paper on evaluation of mechanical properties of carbon fiber / epoxy composites. PrathapPrakash&R.Yogesh of IV year has participated in the National Conference on Recent Advancements in Mechanical Engineering at Kamaraj College of Engineering & Technology, Virudhunagar on 28-03-2018, and presented a paper on Design & analysis of vacuum controlled LBG vapourizer& pressure regulator to enhance reliability. Ganesamoorthy of III year has completed Internship Training at Space Designers & constructions, Chennai from 19-06-2017 to 25-06-2017. Jeyaprakash&J.Selvakumar of III year has participated in a National Level Technical Symposium at Coimbatore Institute of Technology, Coimbatore from 22-09-2017 to 23-09-2017. Kishore&S.Ganesh Ram of IV year has completed In-Plant Training at Anamallais Toyota Service & Spares Facility, Madurai from 27-11-2017 to 01-12-2017. Vinoth Raj of IV year has completed In-Plant Training at Mukesh Honda, Sivakasi from 29-11-2017 to 04-12-2017. Monisha&S.Naveenthangam of IV year has completed In-Plant Training at KayceePlasto Pack, Virudhunagar from 04-12-2017 to 11-12-2017. Dineshchokkaiyan, R.Yokesh, M.Saravanakumar, M.Sundaramanikandan&S.Muthuraj of IV year has completed In-Plant Training at Balasanka Motor Private Limited, Sivakasi from 05-12-2017 to 12-12-2017. Muthukumar of IV year has completed In-Plant Training at Sri Kumaran Motors, Sivakasi from 11-12-2017 to 15-11-2017. VinothPrabu,D.Jeya Surya, N.B.Rajanarayanan, P.Mareeswaran, B.DhanveerAhamed&M.Manojkumar, of III year has completed In-Plant Training at Rail Net Software Solution, Maduraifrom 12-06-2017 to 26-06-2017. Malaiyarasa Kumar of III year has completed In-Plant Training at Jayaraj Automobile Agency, Maduraifrom 12-06-2017 to 17-06-2017. DhanveerAhamed&S.HariPrakash of III year has completed In-Plant Training at Anamallais Toyota Service & Spares Facility, Maduraifrom 28-06-2017 to 01-07-2017. Paul Richard of III year has completed In-Plant Training at Southern Petrochemical Industries Corporation Limited, Tuticorin from 16-11-2017 to 22-11-2017. Malaiyarasa Kumar of III year has completed In-Plant Training at Dharmarathina Textiles Private Limited, Virudhunagarfrom 27-11-2017 to 05-12-2017. Mahalakshmi of III year has completed In-Plant Training at TVS Srichakra Limited, Maduraifrom 29-11-2017 to 01-12-2017. Paul Richard of III year has completed In-Plant Training at Bhilai Steel Plant, Bhilai from 27-11-2017 to 09-12-2017. Andrew of III year has completed In-Plant Training at Anamallais Toyota Service & Spares Facility, Madurai from 04-12-2017 to 09-12-2017. Mahalakshmi of III year has completed In-Plant Training at Rail Net Software Solution, Maduraifrom 04-12-2017 to 09-12-2017. Jeya Surya of III year has completed In-Plant Training at Balasanka Motor Private Limited, Sivakasi from 05-12-2017 to 09-12-2017. HariPrakash of III year has completed In-Plant Training at Dhatchana Motors, Virudhunagarfrom 06-12-2017 to 09-12-2017. Ganesamoorthy of III year has completed In-Plant Training at theRamco Cements Limited, R.R.Nagar from 12-12-2017 to 16-12-2017. Mechanical Engineering Association was successfully conducted a delicious symposium in the name of POKHRAN 2K17 on 15-09-2017. Totally 196 students are participated from various colleges during the symposium. Two days’ workshop on solid works was organized by the department on 22 & 23-09-2017. R.B.Jeen Robert, Assistant professor / Mechanical engineering, AAA College of Engineering and technology illustrated the importance in various domains. A special one-week value added courses was conducted by the department from 27-11-2017 to 02-12-2017. There are 16 students are participated from many colleges at the time of value added courses. 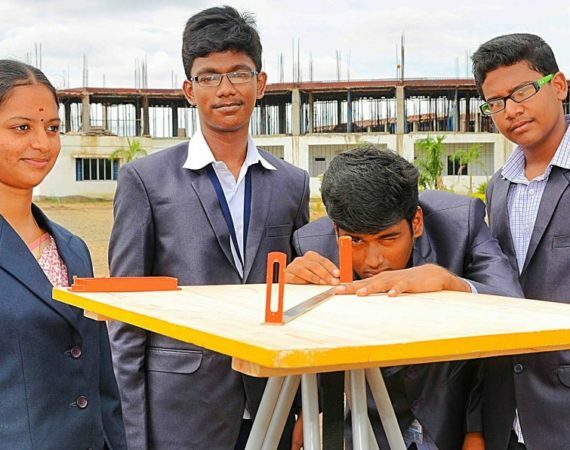 G.Manikandaraja Assistant professor/Mechanical engineering &Mr.A.Vigneshmoorthypandian Assistant professor / Mechanical engineering AAA College of Engineering and technology, trained the students on the topic of LATHE TURNER. S.SenthilMurugan, Assistant Professor / Mechanical Engineering,MepcoSchlenk Engineering College,interacted with students on the topic Advanced Manufacturing Technologyon 24-01-2018.